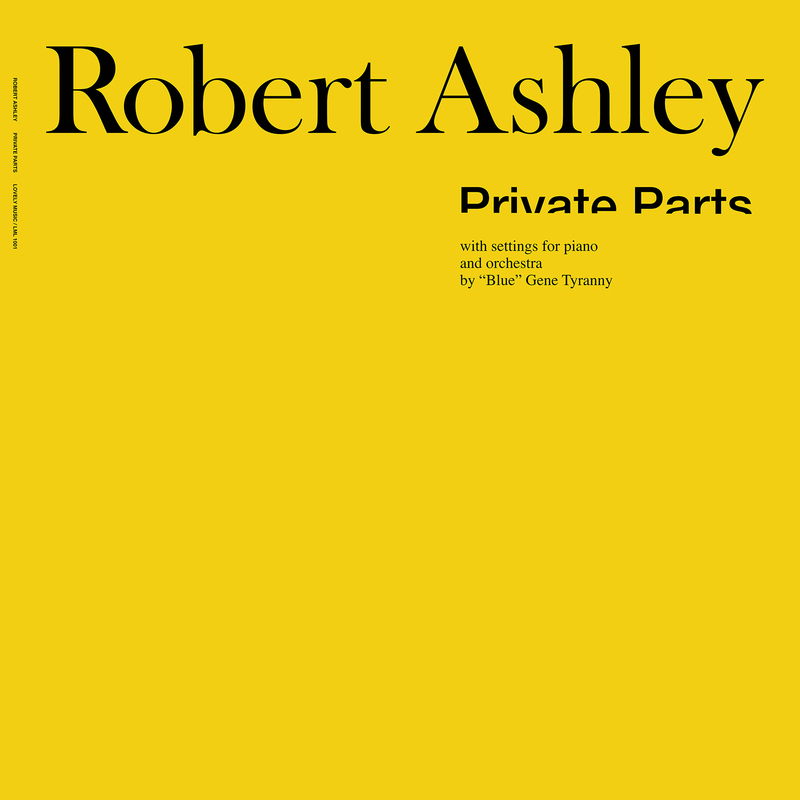 Brainwashed - Robert Ashley, "Private Parts"
I am hesitant to state that Private Parts is one of the most unique and weirdly beautiful albums of the 20th century, as that will likely sound like overheated hyperbole to anyone who has not heard it. Nevertheless, it is exactly that. Originally released back in 1978 and newly reissued, Ashley's hushed and intimate second album was unlike anything that came before it and no one else has since come anywhere close to replicating its precarious magic. 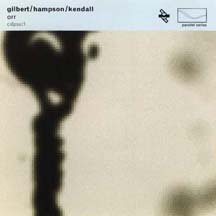 That includes Ashley himself, as he revisited and expanded upon this album's themes with his ambitious television opera Perfect Lives, an ‘80s avant-garde landmark that has comparatively aged quite poorly. The elegantly simple piano-and-voice palette goes a long way towards making Private Parts feel timeless, but not nearly as much as the fact that it does not even sound like it was recorded on earth. Rather, it evokes the feeling of sitting next to an incredibly interesting, enigmatic, and gregarious man in heaven's waiting room. In the pantheon of a major 20th century composers, Robert Ashley (along with possibly Alvin Lucier) stands out as a glaring and bewildering anomaly, as if he was an alien dropped to earth rather than someone who had devoted their life to diligently learning and mastering the intricacies of music. That said, there are some key details from Ashley's early life that help explain how he wound up taking the direction that he did with Private Parts. For one, after studying music in NYC and doing some time in the army, he took a job at the University of Michigan’s Speech Research Laboratory and took to it so well that he was offered a chance to pursue a doctorate in the field (he was not a student at the time). Later, still in his home state of Michigan, Ashley and Gordon Mumma became involved in a multimedia art group that organized regular performances in a loft dubbed Space Theater. During this phase (1957 -1964), both Mumma and Ashley became very interested in building and modifying synthesizers and electronics. Curiously, there is not any evidence of that on Private Parts, as the underlying music feels purposely generic (to great effect). However, it is likely that Ashley began seriously thinking about how to blur disciplines and transcend the existing boundaries of music around that time, as the radical projects that immediately followed (the ONCE festival and Sonic Arts Union) very much made a point of challenging expectations and gleefully subverting rules and boundaries. Private Parts was recording soon after the dissolution of Sonic Arts Union, but Ashley managed to cram in one last significant window of absorbing strange and disparate influences, as he moved to San Francisco and took director jobs at both the Tape Music Center and the fabled Mills College Center for Contemporary Music. If it resembles anything, Private Parts feels most like a Raymond Carver short story, albeit a very "meta" and abstractly poetic adaptation of one. At its core, the two halves ("The Park" and "The Backyard") seem to be the imagined interior monologues of a recently divorced or separated couple. In "The Park," a lonely man living in a hotel room recounts a visit to a park in increasingly fragmented and circular fashion. On the flipside, a woman standing in her parent's backyard experiences a similarly flickering and elusive stream-of-consciousness that unpredictably plays with numbers, muses about Giordano Bruno, and contemplates the constellations (among other things). As an aside, Ashley may have been uniquely gifted as an explorer of the mind's mysteries, as he had mild Tourette's Syndrome and later released an entire album based on his experiments with "involuntary speech." Aside from the actual words being spoken, however, the two pieces are nearly interchangeable: Ashley delivers his elliptical, deadpan monologues with a soothing drawl over a radiant synth shimmer. He is joined by "Blue" Gene Tyranny on piano and Krishna Bhatt on tablas, but there is nothing about the pieces that feels "composed" at all. Rather, their lazily twinkling and burbling improvisations feel like they are there primarily to provide texture and a "natural" sounding veneer of life and spontaneity. Both are purposely low in the mix though, which makes it seem like they are either drifting in from another room or through the veil of consciousness. It is a weirdly appropriate backdrop, sounding vaguely like background music in a spa, achieving a wonderfully dreamlike and unreal sense of place for the real show: Ashley's twin narratives. Structurally, the album is a work of true genius, achieving an elegant symmetry by showing two sides of the situation in a teasingly semi-linear arc that regularly digresses into philosophical asides, mundane details, non sequiturs, fleeting acknowledgments of deep existential pain, and apparent stage directions for the memories. Also, crucially, Ashley's monologues can be unexpectedly and perversely amusing (my favorite lines are "he is expected to positive and helpful about breakfast" and "the sculptor has made the horse look stupid"). Aside from the inventive structure and the absorbing and elusive narrative arc, Private Parts also benefits from an uncanny lightness of touch that makes its bizarre tableaux feel effortless and natural. In lesser hands, an album in this vein would almost certainly descend into New Age toothlessness or wallow in the maudlin nature of its premise. Neither ever happens here–Ashley’s sensibility is too subtly clever, pleasurably disorienting, and deliciously ungraspable. There is a deep sense of regret and heartache to the album, to be sure, yet all of the darkest emotions remain simmering just beneath the surface: the monologues playfully dance around revealing too much and endlessly stumble and fixate on individual moments of cryptic importance and meaning. As such, the album manages to be a poignant meditation on the human condition, the emptiness of modern life, and the precariousness of happiness, as well as an enticingly incomplete puzzle and tabula rasa. It is possible that Private Parts is one of the most tenderly, insightfully human albums ever recorded, but it equally possible that Ashley intuitively painted an evocative and unfinished picture that left enough empty space for listeners to subconsciously project their own buried dreams, desires, and recriminations onto its ambiguous tale of lost love. More likely, it is both. In short, Private Parts is a visionary masterpiece from start to finish. The world is full of truly great albums, but this one is unique among them as an improbably perfect and comforting riddle that I can dive into a thousand times without ever feeling like I have solved anything.